GIGER MD® therapy opens up new perspectives in case of paraplegia. Find out more about the treatment successes! The paraplegia diagnosis is a heavy blow for those affected as well as their immediate environment. Until recently, the accompanying limitations were considered irreversible. GIGER MD® therapy gives many of those who are affected by paraplegia or quadriplegia the opportunity to improve or partially recover their vegetative, sensory and motor functions. With their help, the quality of life of those affected can be improved significantly – with the aid of a completely pain-free and gentle training with sophisticated therapy instruments. At the same time, the training reduces the risk of complications and severe subsequent damages. In recent years, scientific studies have shown: An injured central nervous system (CNS) can be partially repaired. Byrelearningit possible to create new neural connections and partially relearn long-lost functions – such as walking. This is even possible in case of severe neuronal diseases or injuries such as paraplegia. Precisely coordinated, rhythmic movements that stimulate the reorganization of the central nervous system are key. The GIGER MD® therapeutic tools are not comparable with any other conventional therapies in regards to their intensity and effectiveness in this area. 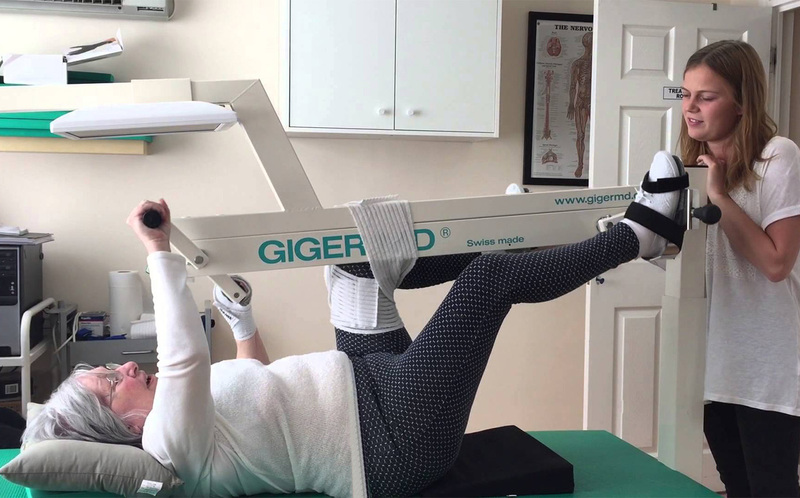 The efficiency of regularly training with the GIGER MD® therapy equipment has been scientifically proven – even in seemingly “untreatable” cases. Learn more about this Treatment! We offer a free trial therapy session in our treatment center in Switzerland to those that are interested. There, you will learn more about the basics and treatment prospects of GIGER MD® therapy and receive a personal consultation. You will also be given the opportunity to complete a trial therapy session for free and without any further obligations. Contact us here for more information or sign up for a trial therapy session! „My posture got more stright and my gait got faster.